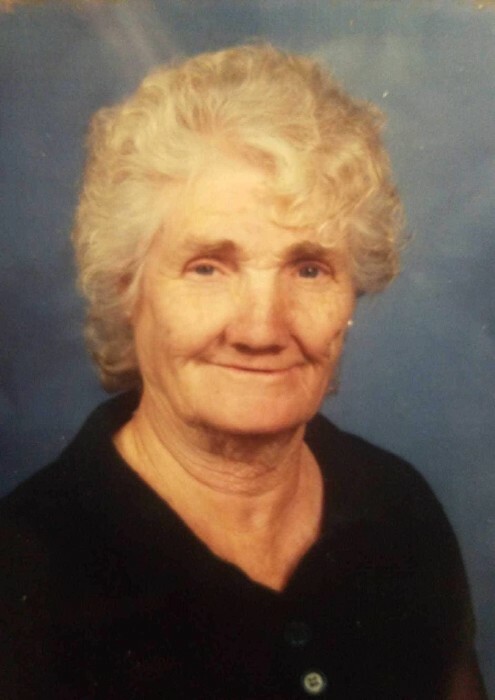 Opal Helen Miller, 91, passed away peacefully early Tuesday morning on January 29, 2019 while living with her son, Donny, in Moore, Oklahoma. She was a loving wife, mother, grandmother, and great-grandmother. Opal was born on November 16, 1927 in Rocky Ford, Colorado to Bernice and Walter Wilbur Sr. She met her husband, Dempsey Miller, in Denver, Colorado. Dempsey and a friend were hitch hiking across the country and they stopped in Denver to work. Dempsey and Opal fell in love and got married in 1947. Their first two children, Dempsey and Regina were born in Denver, Colorado. They moved to Uniontown, Pennsylvania to be near Dempsey’s family. Seven more children were born there: Gary, Bill, Helen, Donny, Robin, Mark, and Eddie. Over the years the family moved back and forth between Uniontown, Pennsylvania and Oklahoma City. In 1982, her husband, Dempsey, passed away from a heart attack while living in Pennsylvania. Opal moved back to Oklahoma City to be near other family members. Her son, Bill, live here, as well as her brothers and sister. While living in Oklahoma City, she started attending South Lindsay Baptist Church and was a faithful member there until she was no longer able to attend. A favorite memory of her children was when Opal and Dempsey took their nine kids to the park to play kickball. They had enough players to make two teams. Opal was known for her cooking. When she made light bread and pinto beans the whole family would show up, grandkids in tow, and there wouldn’t be any leftovers. Opal loved cooking, playing Bingo (sometimes daily), going to church, and spending time with her family, especially the grandkids. She had a laugh that would fill the room. In her later years, Opal alternated living with her loving sons, Mark, Donnie, and Eddie. They honored her wishes not to be put in a nursing home. Opal was preceded in death by her parents, Bernice and Walter Wilbur Sr.; husband, Dempsey Miller; daughters, Robin Marsh and Regina Wilson; brothers, Walter Wilbur Jr. and Virgil Wilbur; and sister, Alberta Jones. She is survived by children, Dempsey “John” Miller and wife Debbie of Lorain, Ohio, Garry Miller and wife Leslie of Uniontown, Pennsylvania, Bill Miller and wife Diann of Evergreen, Colorado, Helen Sullivan and husband Harold of Oklahoma City, Oklahoma, Donnie Miller of Moore, Oklahoma, Mark Miller and wife Louise of Oklahoma City, Oklahoma, and Eddie Miller and wife Becky of Moore, Oklahoma; and numerous grandchildren and great-grandchildren. We will always carry her memory in our hearts. Visitation will be from 7:00 – 8:00 PM on Friday, February 1, 2019 at Moore Funeral and Cremation, 400 SE 19th Street, Moore, OK. The funeral service will be held on Saturday, February 2nd at 10:00 AM at the funeral home in the Chapel with Rev. Jerry Connell from South Lindsay Baptist Church officiating.